The College of Engineering and the College of Natural Sciences at the University of Massachusetts Amherst invite you to a presentation by Dr. Juan Gilbert, Andrew Banks Family Preeminence Endowed Professor and Chair of the Computer & Information Science & Engineering Department at the University of Florida. His research presentation, Secure, Accessible Voting in the U.S.A., will be held on April 9, 2019 @ 4pm in the Commonwealth Honors College, Room 160 E. Dr. Gilbert will also offer a second workshop on April 9, 2019 @ 11:00 am entitled Against the Odds: A Story of Mentoring, Perseverance and Excellence where he will share his personal experience and perspectives on navigating an academic career. This workshop is held in Engineering Lab II: Kellogg Room. 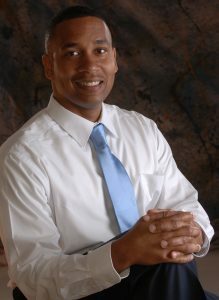 Dr. Juan Gilbert is the Andrew Banks Family Preeminence Endowed Professor and Chair of the Computer & Information Science & Engineering Department at the University of Florida where he leads the Human Experience Research Lab. Dr. Gilbert has research projects in spoken language systems, advanced learning technologies, usability and accessibility, Brain-Computer Interfaces (BCI) and Ethnocomputing (Culturally Relevant Computing). He is a Fellow of the American Association of the Advancement of Science and a member of the National Academy of Inventors. In 2012, Dr. Gilbert received the Presidential Award for Excellence in Science, Mathematics, and Engineering Mentoring from President Barack Obama. He also received the American Association for the Advancement of Science (AAAS) 2014 Mentor Award. Dr. Gilbert received the 2018 Computer Research Association's A. Nico Habermann Award. He was recently named one of the 50 most important African-Americans in Technology. Both events are free and open to everyone!